Geodetics is a small, responsive company that the U.S. Department of Defense (DoD) has gone to for innovative, commercial GNSS solutions. With the growth in the unmanned aircraft vehicle (UAV) market, Geodetics is well positioned with an inventory of novel approaches for applications both on land and in the air. Recently teamed with ITT Exelis, a new Geodetics RTK SAASM product is also well positioned to take off. I met Geodetics’ President and CEO Lydia Bock at the Geodetics booth at AUVSI in August, and we talked at length about the diverse program, customer and product mix that makes up Geodetics’ business base. The company appears to have benefited by being small, nimble and reactive to a slew of U.S. Forces requirements, which they were able to satisfy, presumably at the expense of several big defense contractors who were unable to spin on a dime the way that Geodetics is able to. And as a consequence, Geodetics has received several recent awards for being among the fastest growing GNSS outfits in North America. Their small size belies their capability with a significant proportion of the people who work there having doctorates, masters and engineering degrees, but with a really pragmatic and practical way of solving complex problems for DoD. Founded in 1999, their first objective was to commercialize reference network management development, which they were able to do quite nicely for example the City of Long Beach installed their monitoring systems to detect oil-field subsidence.Water is pumped into the field to extract the oil and as time goes on, the ground sinks around the wells. By 2003, DoD was looking for commercial innovation and was turning to commercial companies like Geodetics for GNSS solutions. Geodetics was quick to establish a reputation as a problem solver and they began to win more competitive procurements, sometime teamed with some of those big-gun companies who needed to tap their small company innovation. Over the years, Geodetics has developed capability in cm level relative and absolute real-time positioning and navigation for high and low-dynamic platforms, both manned and unmanned. 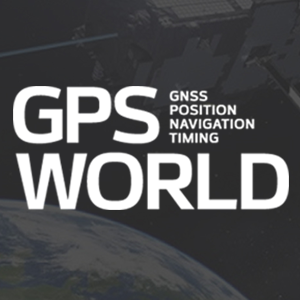 Solutions not only using GNSS but sensor fusion with Kalman filtering using IMU, step-sensors, magnetometers, barometers and others – including time sync, integrity monitoring, and data smoothing. And of course they have kept on developing the early network capability which got them going, into large scale (>1000 platforms) networks, some of which are RTK based. Geodetics doesn’t regularly talk about to its break-through Epoch-by-Epoch technology which uses a single epoch of data to get to cm level performance — nowadays its just called ‘RTK’. Army Test & Evaluation and Training has turned out to be one of Geodetics’ main markets, with soldier carried units used for large training exercises. Small, non-intrusive units with 12-15 hours battery capability, data recording/storage, all connected by networked radio through a range radio infrastructure, has allowed the Army to develop new training capabilities. And where does Lydia think Geodetics will focus next? Their Geo-RelNAV product is designed for relative navigation between airborne platforms and is ideal for maintaining formation flight capability, especially for the growing UAV market. High precision relative navigation is key for UAV collision avoidance and automated landing – wherever precise relative position and orientation is essential between the UAV and other platforms, moving or stationary. Geodetics uses a number of different commercial and military SAASM receivers in its products, and has recently teamed up with ITT Exelis to develop and introduce a SAASM RTK product. Incorporating proven RTK technology from Geodetics, integrated with the high precision and GPS security features of the EGR-2500 ITT SAASM receiver, this package has several advanced features going for it. Able to run a self-contained RTK on the capable processor of the 2500 receiver, this solution is low power while still being compatible with a number of Geodetics’ nav products including inertial, relative navigation, GPS-based attitude determination, GPS reference network/survey and post-processing tools. When integrated with inertial, aiding feedback to the ERG 2500 assists the ITT tracking loops to maintain phase lock through 6g turns and get to cm level RTK performance. This Geodetics’ RTK solution on ITT’s Type II SAASM receiver provides customers with a low-power anti-spoofing solution — which must be attractive for the growing UAV market. ITT is working on its next-generation 2550 receiver which could well show up in Geodetics’ products in the future. The 2550 has an acquisition bank of 2000 correlators for super-fast firstfix and re-acquisition, and they hope to get down to ¾-watt power, which is remarkable for a SAASM receiver. The new RF has even better anti-jam performance and is also M-code ready. So with a product line-up which also includes reference receivers, data-links, commercial personal navigators, attitude determination packages, precision heading receivers, high-dynamic solutions, and a great track-record in electronics miniaturization, Geodetics is ready for the challenges that the GNSS market will throw at them and still allow them to move forward into the future.